Today in this post I will tell you how you can watch movies in HD (High Definition) online on YouTube. YouTube is the largest video streaming website in the world, in one of my post I told about how you can watch upcoming movies trailer on YouTube. And you can watch the full movies on YouTube. 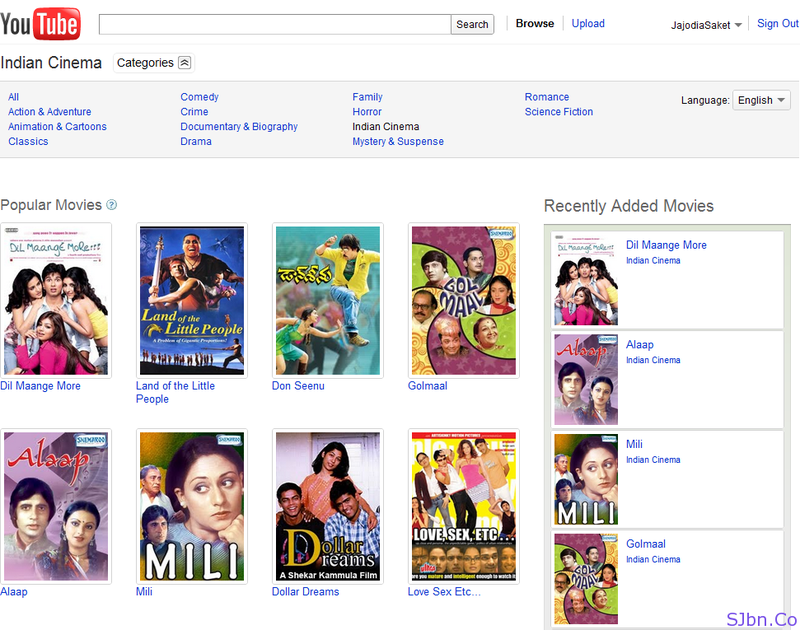 Unlike trailers there is also a separate section for movies, so that you can get to know which movies are available at YouTube. Just go to https://www.youtube.com/movies and you will able to see list of moves that are available. There are also some Categories like Comedy, Family, Indian Cinema, etc from which you can choose movie you would like to watch.